We are pleased to introduce the NAMES.CLUB Broker Program for Established Domain Investors and Brokers. 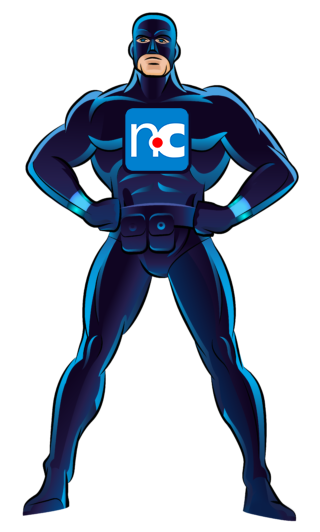 Be a SUPER Hero to your clients! 1. Apply for your official, unique broker code and affiliate link using the form below. Once approved* you will receive an email with your code and link. 2. Have your clients use your code when purchasing a Premium NAMES.CLUB name direct from the Registry at www.names.club. The code is ONLY valid at names.club. 4. You will earn a 10% commission on all names sold with your code. Your full commission is paid upfront, even in an Easy Payment sale. *Approval and issuance of a broker code is at the sole discretion of .CLUB Domains, LLC. Please read the complete Terms & Conditions. Please log in or register account to proceed. and pay monthly over 60 Months. No commitment. you've purchased and their payment schedules. and get the distribution of Names.club working for you. Please click the link in the Email we've sent to you to verify your account. Enter the email address you signed up with, and we'll send you a link to reset your password. © Copyright - Names.Club 2018 All rights reserved.